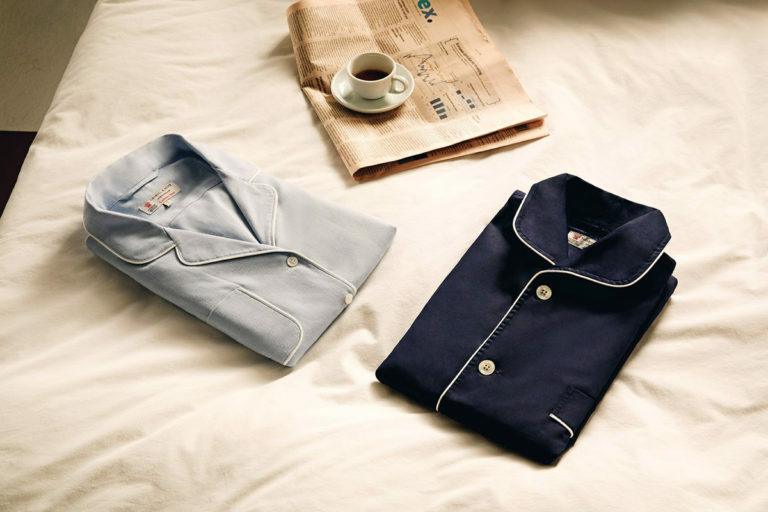 If you've ever dreamed about getting a good night's sleep, your answer may someday lie in data generated by your sleepwear. Researchers have developed pyjamas embedded with self-powered sensors that provide unobtrusive and continuous monitoring of heartbeat, breathing and sleep posture -- all factors that play a role in how well a person slumbers. The "smart" garments could give ordinary people, as well as clinicians, useful information to help improve sleep patterns. "Our smart pyjamas overcame numerous technical challenges," says Trisha L. Andrew, Ph.D., who led the team. "We had to inconspicuously integrate sensing elements and portable power sources into everyday garments, while maintaining the weight, feel, comfort, function and ruggedness of familiar clothes and fabrics. We also worked with computer scientists and electrical engineers to process the myriad signals coming from the sensors so that we had clear and easy-to-understand information." Getting enough quality sleep can help protect people against stress, infections and multiple diseases, such as heart and kidney disease, high blood pressure and diabetes, according to the National Institutes of Health. Studies have found that quality sleep also increases mental acuity and sharpens decision-making skills. Yet most people do not get enough sleep -- or the right kind. The National Sleep Foundation estimates that the sleep industry is booming, taking in nearly $29 billion in 2017. Although some manufacturers of smart mattresses claim the products can sense movement and infer sleep posture, they do not provide detailed information to the sleeper and are not portable for travel. Commercially available electronic bands worn on the wrist give information about heart rate and monitor how much total sleep the wearer gets. But until now, there has not been anything that a typical consumer could use to monitor posture and respiratory and cardiac signals when slumbering. The key to smart pyjamas is a process called reactive vapour deposition. "This method allows us to synthesize a polymer and simultaneously deposit it directly on the fabric in the vapour phase to form various electronic components and, ultimately, integrated sensors," Andrew says. "Unlike most electronic wearables, the vapour-deposited electronic polymer films are wash-and-wear stable, and they withstand mechanically demanding textile manufacturing routines." The "Phyjama," as the University of Massachusetts, Amherst team calls it, has five discrete textile patches with sensors in them. The patches are interconnected using silver-plated nylon threads shielded in cotton. The wires from each patch end up at a button-sized printed circuit board placed at the same location as a pyjama button. Data are wirelessly sent to a receiver using a small Bluetooth transmitter that is part of the circuitry in the button. 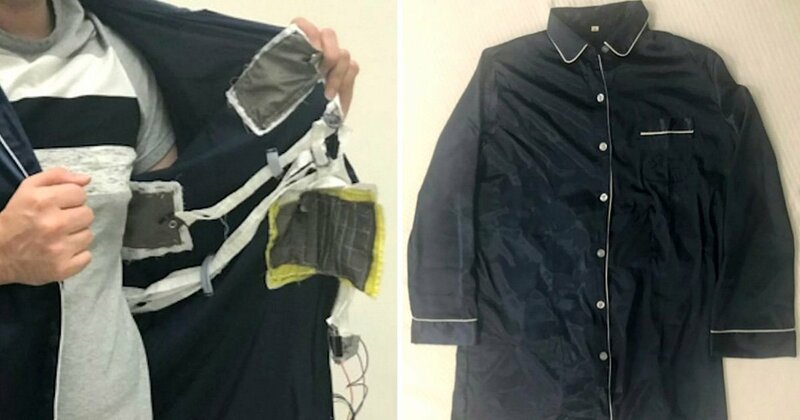 The garment includes two types of self-powered sensors that detect "ballistic movements," or pressure changes. Four of the patches are piezoelectric. They detect constant pressures, such as that of a bed against a person's body. These first-of-their-kind patches are used in different parts of the Pyjama so that the researchers can determine sleeping posture. However, this type of sensor cannot pick up the faint pressure from a beating heart. The triboelectric patch detects quick changes in pressure, such as the physical pumping of the heart, which provides information on heart rate. This is the first time such a sensor has been shown to detect tiny ballistic signals from the heart. Andrew's team has tested the garment on volunteers and validated the readings from the sensors independently. They also have applied for patents on the Phyjama. After Andrew partners with a manufacturer, she estimates the product could be on the market within two years for $100-$200. Currently, the team is working on extending the technology to wearable electronic sensors that detect gait and send feedback to a monitor to help prevent falls. This application could find use in settings such as nursing homes and retirement centers, Andrews says.